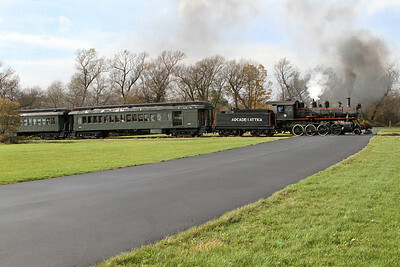 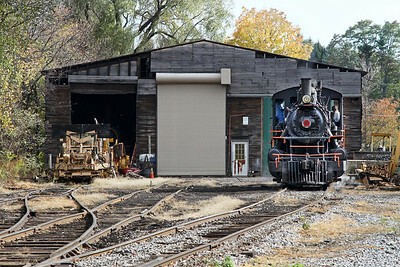 Photos from October 2012 & August 2014 featuring 2-8-0 #18 (Alco built 1920) with passenger and freight trains along nine miles of the Arcade & Attica Railroad. 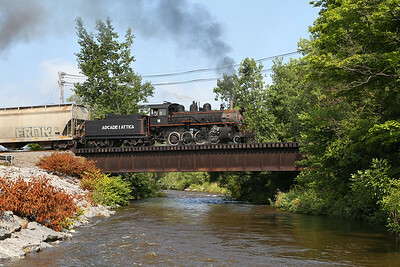 The A&A began in 1917 as a shortline freight railroad in Western New York. 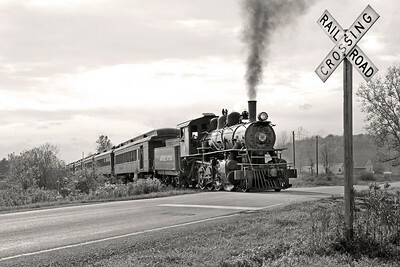 As traffic declined in the late 1950s, the railroad aimed to supplement freight revenue with steam-powered passenger trains. 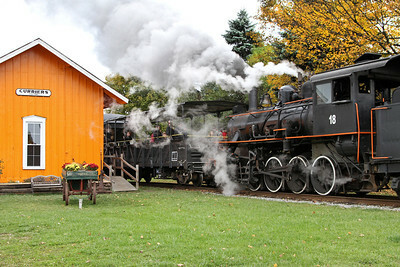 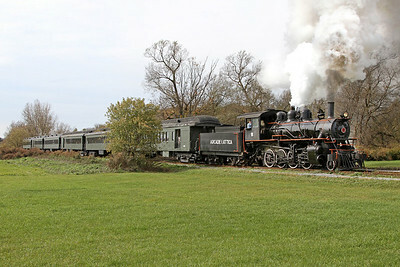 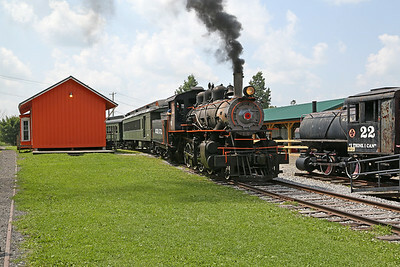 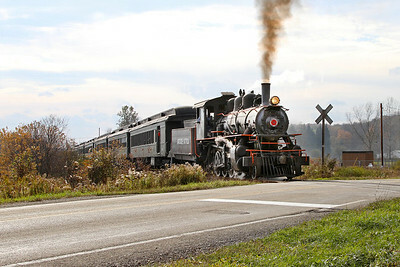 Excursions began in 1962 following the purchase of engine #18 from the Boyne City Railroad in Michigan. 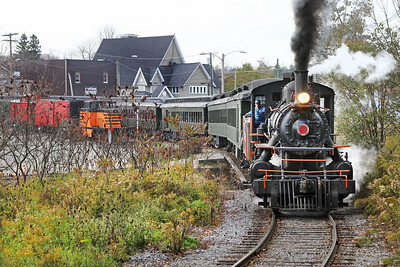 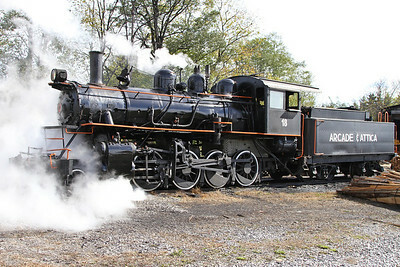 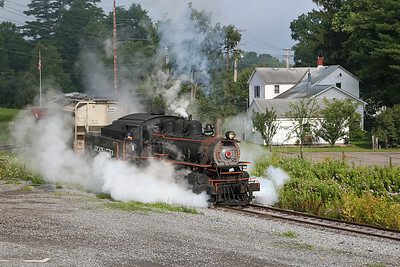 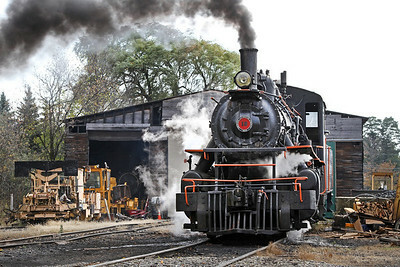 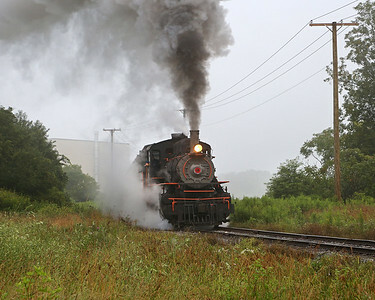 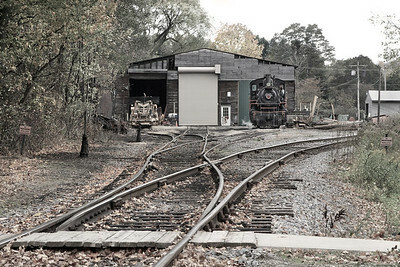 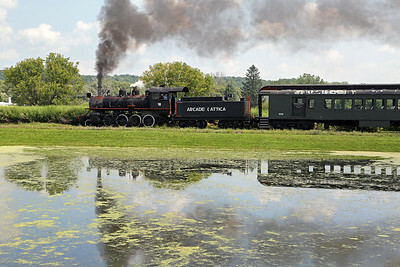 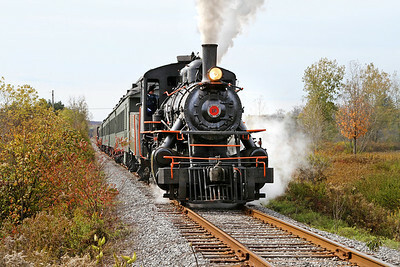 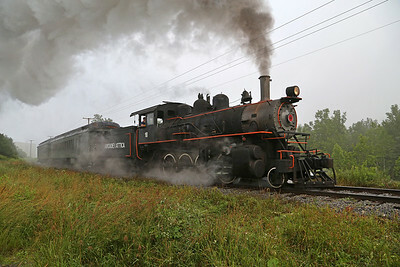 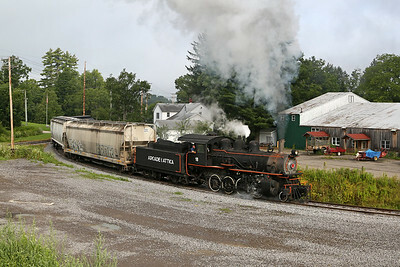 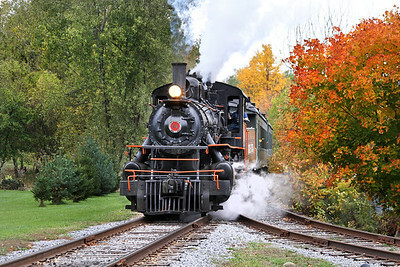 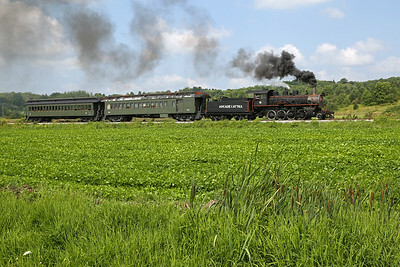 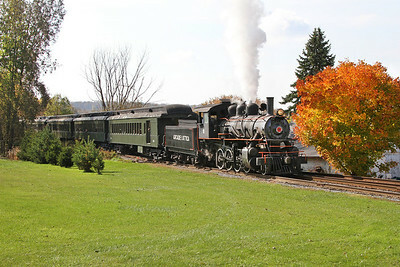 Fifty years later, the A&A is now the last operating steam railroad in New York State. 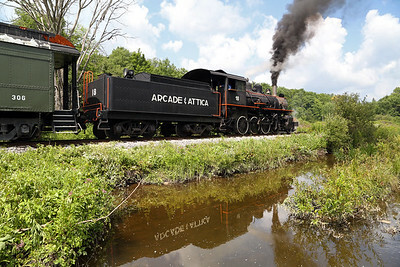 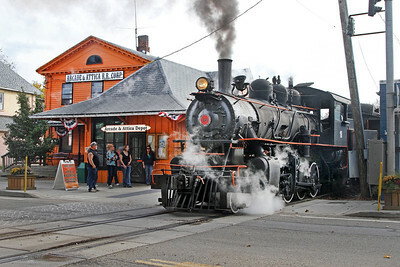 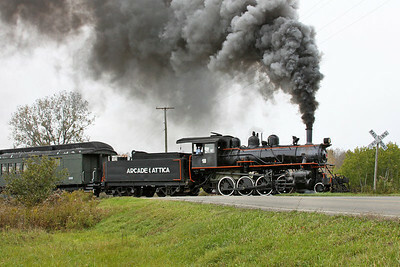 For more, visit the Arcade & Attica Railroad Website. 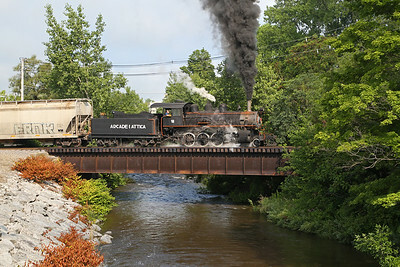 approaching Arcade with freight from Arcade Jct.